Zero Carbon Britain: Making it Happen – charts a huge range of positive opportunities for innovation, for both Britain’s economy and for its people. Paul Allen explains how the zero carbon transition offers a wide range of co-benefits including; better housing, affordable and accessible transport, energy self-reliance, reduced obesity, improved health, cleaner air, more jobs and a powerful sense of common purpose. It is now ten years since The Centre for Alternative Technology (CAT) first launched its Zero Carbon Britain scenario. Thankfully, over this time during which the people behind the New Weather Institute have regularly been involved with and contributed to the project, there has been increasing acceptance that a zero carbon future is both necessary and achievable, not least from the Paris climate agreement. Also during this time, Zero Carbon Britain’s work, plus an increasing range of peer-reviewed studies, plans and practical projects from around the world now clearly demonstrate that we already have the tools and technologies needed to reach net zero carbon. Yet, changing how millions of people live is a very special kind of problem, as the forces that shape our lives exist on many different levels. Rather than an unresolved technical challenge, to reach net zero we must overcome a mix of political, structural, cultural and policy barriers. Tackling such a complex global challenge requires a new kind of approach which joins up research and practice across disciplines, borders, sectors and scales. 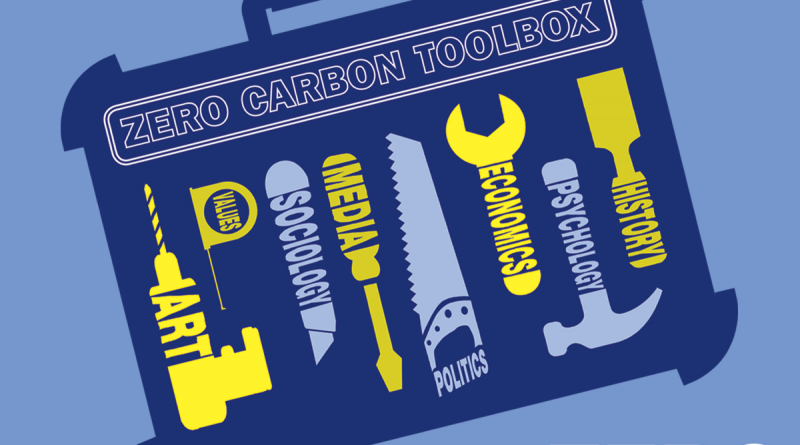 In response, the new report: Zero Carbon Britain: Making it Happen, brings together insights from a wide range of peer-reviewed journals, books, reports and articles from psychology, sociology, political science, economics and other social sciences, as well as faith and spiritual practice, arts and culture. Expert views from cutting edge thinkers mix with real-life stories of practical projects that have overcome barriers in innovative ways, from community renewables, to mass retrofit, to women’s cycling. The New Weather Institute’s own contribution is a dissection of the flawed assumptions and practice of neoliberal economics and the need for a more coherent economics connected to the real world and more nuanced understanding of people. The zero carbon transition is one of the most exciting opportunities in human history. It can deliver significant additional benefits including better housing, affordable, accessible transport, reduced obesity, improved health, better air quality and more jobs. Isolated, stressful, consumer-focused lifestyles can be replaced by a sense of connection with community and nature, delivering enormous benefits in physical and psychological wellbeing. There are many solutions, but one clear overarching conclusion: we must do this together. Although shifting cultural values to support change isn’t easy, there are many powerful lessons from history showing that evolution in thinking around slavery, universal suffrage, apartheid, LGBT rights can happen over just a few years. It will take many shifts pulling in the same direction, and each and every one can contribute.